As both an engineer and entrepreneur, Australia’s Chief Scientist Dr Alan Finkel knows how to make things happen. He brings to his new role energised leadership, a vision to support great science and research, and the courage to confront real issues. Soon after he was announced as Australia’s next Chief Scientist, Dr Alan Finkel addressed the media at the National Press Club. His speech began with a story about a fearsome and powerful warship, the Vasa, that was built in Sweden in 1625. Various tasks, he said, were outsourced to specialists in other countries during the ship’s three-year construction process. Halfway through the build, the King decided he wanted an extra deck with more cannons, and of course his wish was granted. Twenty minutes after the ship’s launch in front of an enormous gathering on the shores of Stockholm’s harbour, it sank. A total of 53 lives were lost. There had been no testing prior to launch, Finkel said. Specifications had changed at political whim. The workforce was split into silos, some separated by national borders. There was no prior research, no prototype built and no appetite for frank and fearless advice. In other words, there was no science. Four hundred years later and science – evidence-based testing, modelling, candid and open discussion – is even more important in order to meet current and future challenges. 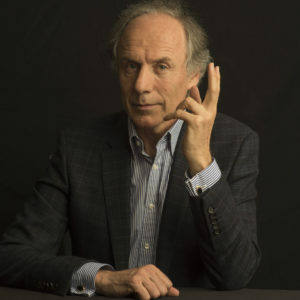 Now that he holds the office of Chief Scientist, Finkel intends to create a new roadmap for Australia’s scientific future and, thereby, contribute to raising the nation’s scientific output. “Research infrastructure, of course, is not the roads and buildings,” he said. “It’s the big ticket scientific equipment that has a national utility that will underpin our future ability to understand the cosmos, where technology is taking us, artificial intelligence, self driving cars, medical breakthroughs, and also capture and archive and use the information that gives us knowledge about our history and culture and our stories. Finkel’s aim, essentially, is to define where government might direct large amounts of research funding over the next 15 years in order to develop infrastructure on a national scale, accessible to researchers around the country. Such infrastructure, or ‘big-ticket scientific equipment’ as he called it, will mean great science becomes possible. With great science comes innovation – not that we don’t have a good innovation track record already. “Australia is actually quite innovative and entrepreneurial, but not always in the space where people are looking for it,” Finkel said. Look at the banking and mining sectors, he says, and you’ll see plenty of innovation. “Banks have developed and implemented back-end software and front-end software for their customers that transformed the way banking is done in this country,” he said. In our mining sector, Finkel continued, you only need to look as far as the processes, systems and technologies put in place by businesses such as Rio Tinto and BHP to automate mines and make them more efficient, cost effective, environmentally friendly and safer for mine workers, to see innovation on a massive scale. But still, the innovation in technology sectors as a measure of contribution to GDP is very small, likely below 1 per cent. Also low are the current translation levels of academic research to industry relevance. And so science and innovation, which when done well go hand in hand, are twin obsessions for Finkel. The question is, how will he go about encouraging both? As well as developing a plan for the next generation of all-important research infrastructure, Finkel said he is one of a panel of three reviewing the $2.9 billion a year R&D tax incentive to ensure it really is effective at encouraging research and development that would not otherwise have taken place. As Executive Officer of the Commonwealth Science Council, he will measure the nation’s progress against nine national science and research priorities. He is also planning to develop a dynamic database of extracurricular STEM initiatives to teachers, students and parents, to help develop children’s interest in the topics from an earlier age. All of this is just the beginning, the first steps to solve an enormous problem. But thanks to his education and experience as an engineer, Finkel said, he has the ability to break a problem down into manageable pieces. “I think that, as an engineer, I bring that ability to analyse problems and test and deliver solutions in a very methodical fashion,” he said. “With my engineer’s hat on I think of my role as an upside-down T. The base of that upside-down T is a lateral, or latitudinal component. That’s the breadth of research activity across publicly-funded research institutions. That engineer’s outlook has also taught him that failure represents learning and opportunity, and that even a sunken ship can be turned into a positive. At the end of his address to the National Press Club, Finkel explained that the Swedish warship Vasa sat on the bottom of the harbour for 333 years and was finally raised, almost perfectly preserved in the icy waters, in 1961. “Raising it was a phenomenal feat of ingenuity and engineering,” he said. “It was installed in a purpose-built museum, where more than a million people every year line up to see it. To Sweden, the Vasa is now a great source of national pride. Some have said that Dr Alan Finkel is pro nuclear energy. Where does he really stand on the divisive energy source? In a recent interview with the news website The Conversation, Finkel was asked about his views on nuclear energy. His answers made his point of view perfectly clear. “I am not an actual advocate of building nuclear electricity,” he said. What is important, Finkel said, is that we choose an ambition, rather than a technology. That ambition, he believes, should be zero emission technology. In order to then achieve that goal, we must look at technologies that could make it a reality. In this case, the big four energy sources would be solar and wind, coupled with some sort of energy storage method, as well as hydro and nuclear. “Other ones that get talked about often in discussions, such as waves and tidal, just have not proved to be practical,” he said. “If growth [in energy demand] is strong and if we are determined to approach a zero emissions supply as part of our commitment to meeting the Paris accord, then we have to use zero emissions technologies.